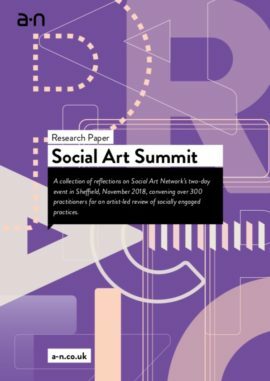 A collection of reflections on Social Art Network’s two-day event in Sheffield, November 2018. 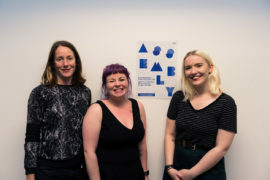 Low Profile is a collaboration between Plymouth-based artists Rachel Dobbs and Hannah Jones. 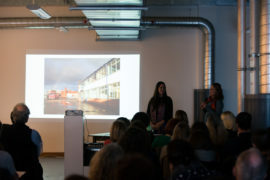 This profile includes two videos, recorded at Assembly Cardiff, in which Dobbs and Jones discuss how living in Plymouth has shaped their attitudes as artists and cemented their commitment to making things happen in their city. The Sustainable Studio is a creative co-working space in a former munition factory in Cardiff. 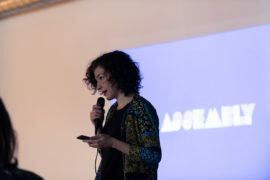 This profile includes a video, recorded at Assembly Cardiff, in which co-founder Sarah Valentin explains how a large warehouse space became a catalyst for working collaboratively and building creative relationships. 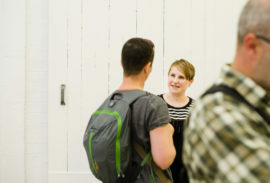 The Royal Standard is an artist-led gallery, studios and social workspace in Toxteth, Liverpool. 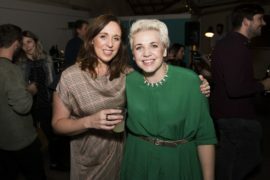 This profile includes a video, recorded at Assembly Dundee, in which artistic directors Lucy Bretherton and Becky Peach introduce their roles and outline the challenges of sustaining a volunteer-run organisation for over a decade. 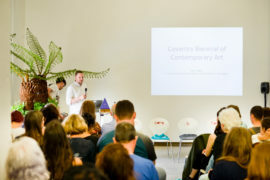 Generator Projects is an artist-led gallery in Dundee. 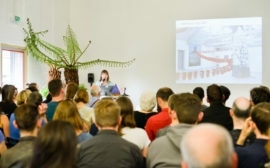 This profile features a video interview, recorded at Assembly Dundee, in which Generator Projects’ chair and committee members introduce the organisation and discuss its aim of supporting emerging artists in the city. 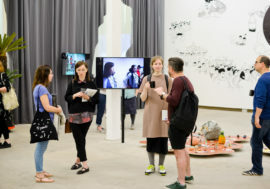 Rat Trap is a Cardiff-based creative collective of recent graduates who organise exhibitions and events as a platform for artists and musicians to share their work and develop their practice. 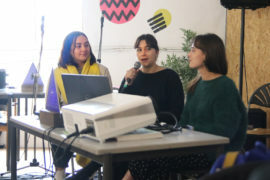 This profile features two videos, recorded at Assembly Cardiff, in which members of Rat Trap introduce their work and consider the notion of success. Tin Roof is an artist-led collective that runs Dundee Ceramics Workshop. 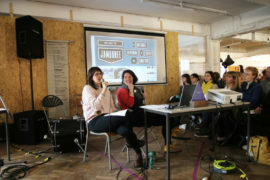 This profile includes an interview with artist and co-founder of Tin Roof, Joanna Helfer, recorded at Assembly Dundee, in which she describes her involvement with Dundee’s artist-led scene and her optimism for the future.